"... 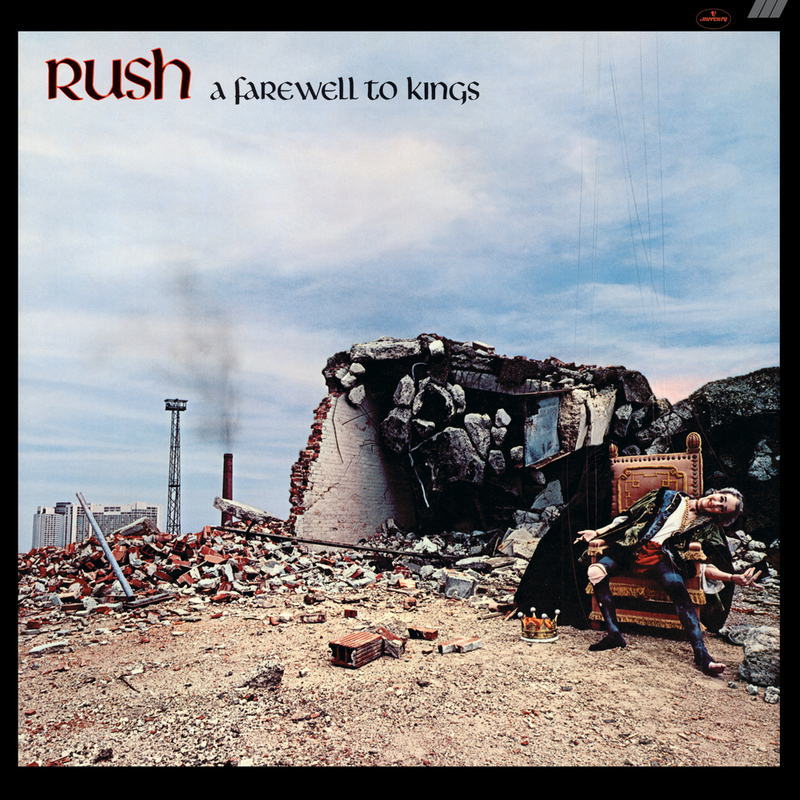 Rush cemented lasting fame on the strength of albums such as A Farewell To Kings ..."
"... found the band juggling various aspects of their sound ... saw Rush adding the synthesizers that over the next few years they would use more and more ..."
"... just might have been the most crucial release of their young career ... the mind-melting Peart continued to expand the vocabulary of rock drumming ... remains a versatile, technically dazzling and mostly unpretentious experience ... proved these prog-rock amigos were invested in the genre for the long haul ..."
Rush's biggest American commercial success to that point, 1977's A Farewell To Kings became Rush's first gold album in the US (it was eventually certified platinum) and the first time the band enjoyed a real hit with the UK top 40 single Closer To The Heart. Rush recorded this album in Wales and mixed it in London, the first time the band made an album outside of Canada. This is the 2015 remastered edition. "It’s the only one of our albums apart from 2112 that I can really live with. I’ve yet to look at it and start finding fault with it, pick it apart, you know ... it still sounds so positive."